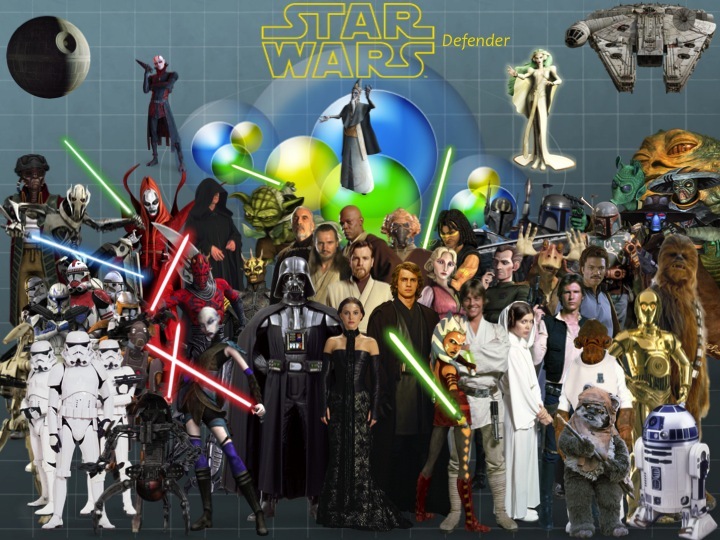 “I would say that (the website conveys) a feeling that we share very much… I loved how Star Wars had that sense of a world far beyond the borders of what you can see and have been told – it’s one of the things it did so brilliantly. If you watch the first movie, you don’t actually know exactly what the Empire is trying to do. They’re going to rule by fear – but you don’t know what their end game is. Any self respected Star Wars fan who reads this at first might feel like they want to cry their eyes out in a bench at their local park, but reading things further will make you reach a different conclusion. "Abrams is eager not to criticize the more recent movies and suggests that he may need to tread a careful line not to alienate fans of the originals and the younger fans of the prequels. He said: A lot of kids who grew up with the prequels when they were young really do identify with those movies as much as my generation identified with the originals." So there you have it: JJ Abrams wants it both ways. And it doesn't really surprise me. 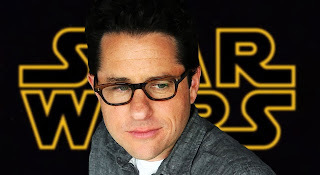 For starters, we realize that the hateboys count on Abrams on bringing him the Star Wars they want-which probably includes his friends Damon Lindelof and Simon Pegg. On the other hand, the younger fans (including his kids) and GL himself, are keeping a somewhat close eye to see that the film is a valid continuation of the saga. With that type of pressure, he has the unimaginable task of having to, you know, please everyone. And that obviously is something that remains to be seen until the film is released, but meanwhile, he is walking in the thin line that both sides of fandom are standing on. Will he be able to pull it off? Nobody knows. What we do know is that if we analyze these recent comments with ones he made previously, we see the parallels and get to understand Abrams' point of view better. Abrams: Well, I’m just a fan of "Star Wars.” As a kid, “Star Wars” was much more my thing than “Star Trek” was. If you look at the last three “Star Wars” films and what technology allowed them to do, they covered so much terrain in terms of design, locations, characters, aliens, ships — so much of the spectacle has been done and it seems like every aspect has been covered, whether it’s geography or design of culture or weather system or character or ship type. Everything has been tapped in those movies. The challenge of doing “Star Trek” — despite the fact that it existed before “Star Wars” — is that we are clearly in the shadow of what George Lucas has done. Abrams: It's funny how in a weird way sometimes by demystifying a character it takes away from some of the fun that you felt about that character. It takes the mystery out of it. Sometimes a character is more interesting when you don't know everything about them. Even someone from my generation -- and I'm ancient compared to so many of the Star Wars fans out there -- for me the character of Darth Vader was always so compelling because you were putting together all these thing in your head and making all these assumptions, that to get to know Anakin as much as we ultimately did changed the way you consider Darth Vader. It's crazy that my kids relate to Anakin; which to me is criminal because I grew up believing Vader was a bad guy. I related to Luke and Leia and Han Solo. You just don't relate to Vader! I still think it's wrong to be on Anakin's side. So I guess there's no one character I can point to and say that I want to know more about him or her, it's just that Star Wars is so vast it would be great to find new characters that have that level of emotional intimacy. Here, we can see that Abrams not only had admiration for the prequels in terms of the ground it covered and the places it visited, he also conveys a similar feeling of what he said about the video: primarily that he likes the idea of mystery that existed with the original films, but at the same time realizes that his kids and others relate to the characters of the prequels. See folks? There's nothing to worry here. I'm fairly positive Episode VII will deliver. Whether or not it will please both fandom's, is something less than likely since it seems pretty clear that he is following GL's advice, at least as far as Jett Lucas is concerned.